Sept. 15 through Oct. 15, JJC celebrated National Hispanic Heritage Month! In this special month, we observe the history, culture and contributions made by Hispanic and Latinx Americans. 2018 marks the 50th anniversary of this annual celebration. JJC went all out, hosting several recreational and educational events throughout the month. Kicking off the celebration was a showing of the beloved movie “Coco.” This movie tells the tale of little Miguel, an aspiring musician, whose generations of family have put a ban on music. Miguel is determined to prove he has talent, and finds himself in the Land of the Dead, where he will meet friends and family and learn about the real story of his family’s history. “A Celebration of Latino Heroes and Sheroes” was also a featured event. 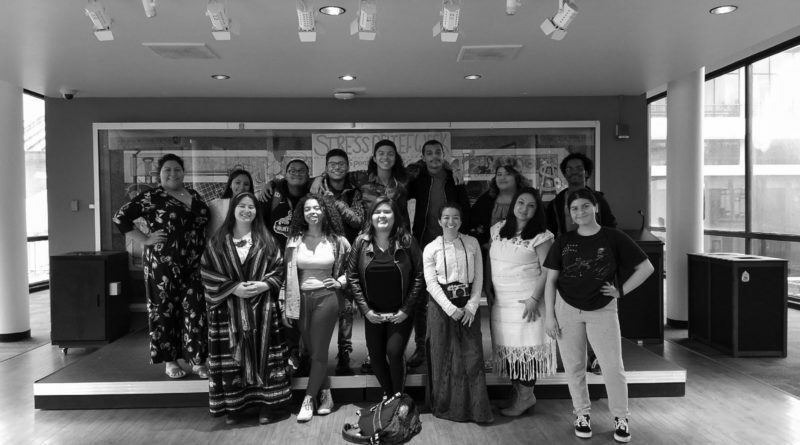 Members of the Latinos Unidos club got the chance to dress up and host a poster and attire exhibit of some of the many prominent Latin figures throughout history and educate the curious passerby students. In front of the stars stood decorative posters with pictures and interesting facts about their lives. In attendance was artist Frida Kahlo, revolutionist Che Guevara, Aztec princess La Malinche, and photographer Lola Alvarez Bravo! Wrapping up the celebration was a showing of the “Sin Pais (Without a Country)” documentary. This short film brings light to a real and controversial topic we face today: immigration. In attempt to steer away and look beyond the partisan politics and the mainstream media, the difficult journey of immigration to deportation of the Mejia family is explored. The Guatemalan family brought their infant son to California for a better life, later giving birth to two more children who were born U.S. citizens. At the end of the film, we watch the family anxiously await their separation after the invasion of their home by two immigration agents. Other events included Latinx Jeopardy, where students got to show off what they know and learn more about culture and history. Choque de Lenguas (Crashing of Tongues) gave students a lesson on the integration and growth of the Spanish language after the Europeans arrived in the Americas. Students were also invited to practice and show off their spanish-speaking skills in Learning Conversational Spanish. National Hispanic Heritage Month originally started as a one week celebration in 1968 under President Lyndon Johnson. The month-long celebration was later initiated and set into law by President Ronald Reagan in 1988. Since then, the United States has seen a significant increase in its Hispanic/Latinx population. Sept. 15 was chosen as the starting date because it is the Independence Day of Latin American countries Costa Rica, El Salvador, Guatemala, Honduras and Nicaragua. Mexico also celebrates its own Independence Day on Sept. 16, and Chile on Sept. 18. The reality is, our Latinx community has been under attack and discriminated against for the past couple of years. Hispanic Heritage Month gives the community a voice and a whole month to show off their pride. The Hispanic/Latinx community is very grateful that JJC allowed for the hosting of these events and gave recognition to the month. Great job to all the students who participated and made this possible! Keep it up JJC!